Sign up for our newsletter and get free music now and more in the future! Includes: It Is Well, The End of Myself, Come Thou Fount & Redeemed. I can still remember my earliest solos. We were missionaries in Russia, and I was knee-high to a grasshopper. Our family attended a Russian church where we were frequently asked to share our music on Sunday mornings. I always enjoyed those opportunities, except when it meant singing the one song in which Dad had assigned me a solo—in Russian. Unfortunately for me, that was Dad’s go-to song. I’m not entirely sure if he chose it so often in spite of or because of my anxiety, but knowing Dad, the latter is a likely possibility. Despite whatever emotional consternation I experienced because of those early solos, I’m so grateful that God gave me two wonderful parents, Neil & Mary Craig, who loved God, loved music, and taught me to love God with music. 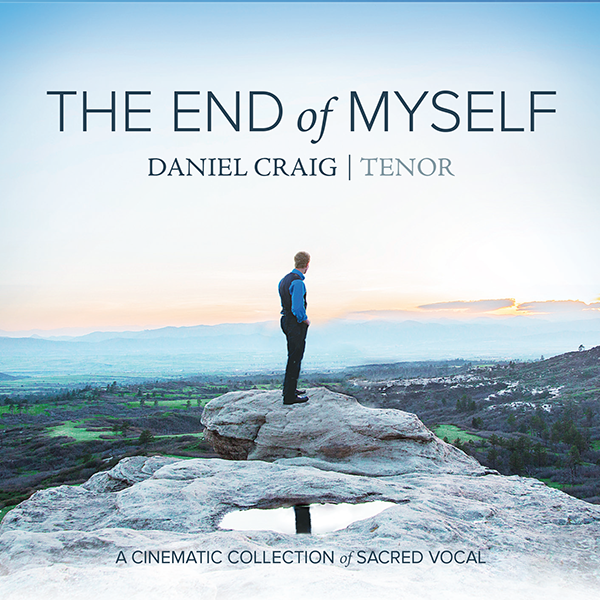 The End of Myself is a carefully chosen collection of both old and new—but always deeply meaningful—songs, presented in fresh and inspiring settings, designed to edify God’s people and evoke fitting praise for an awesome and holy God. A Cinematic Collection of Sacred Vocal. Includes all 12 tracks.